Marketing isn’t as simple as it used to be. It’s no longer a matter of bringing in as many leads as possible and handing them off to the sales team for qualification. With the amount of research now performed online — enabled by the vast amount of freely available content — buyers tend to qualify themselves, instead. Research from SiriusDecisions, indicates two-thirds of the buyer journey is now done digitally, rather than in-person or over the phone. Leads are looking for information to solve a specific problem, carefully evaluating your competitors, and contacting sales when they are ready to buy. The result? Your role as a marketer has become more complex. The days of “get your product in front of leads and let sales take care of the rest” are over. You need to optimize for the entire customer journey, from awareness to conversion — you need to optimize for the full funnel. In this example-packed post, we’ll look at how you can tighten up your full funnel marketing strategy to generate awareness, nurture leads, and create loyal customers with both paid and inbound methods. Spoiler: Marketing isn’t all about raising awareness about your business, and getting more leads. This is closer to the definition of demand generation. And, while this is an important part of the mix, there is a lot more that goes into a well-oiled full funnel marketing strategy. The marketing funnel helps you visualize the different stages buyers go through — where they drop off without making a purchase, and what moves them to become customers. It’s a funnel because the likelihood of a lead moving down the funnel decreases at each stage; not everyone who knows about your product will sign up to your email list, and not every lead in your email nurturing campaign will convert to a paying customer. The funnel structure boils down to basic mathematics and probability, but the effectiveness of each stage is something you can control. So, does a lead’s lifetime value end at the point of sale? Surely it’s a bad idea to overlook the value of a happy customer, because these are the people who will be generate referrals and become your brand advocates. It’s 6-7 times more expensive to acquire a new customer than it is to keep a current one. The old marketing funnel — the one that stops at the sale — overlooks the importance of product reviews, word of mouth, and referrals. 83% of buyers trust the recommendations of their friends and family more than they trust your marketing. Happy customers will be the most credible campaign you could ask for. This sums up why focusing on the full funnel is so important. The funnel has no silos. It’s not all about what gets customers in the door, and it’s not all about what gets them opening their wallets. You want to analyze the entire funnel because its important to make sure you’re making the most informed decisions, right? The same goes for businesses buying your product. They want to get all the facts to be sure they’re making the best purchase decisions. That’s why it’s rare that a single decision maker will decide whether or not to buy your product. According to CEB, it’s more likely that 5.4 decision makers are involved. This insight should drive which content and channels you’re leveraging for marketing. Competition is tough. Many people, each with different information needs, are engaged in the decision-making process. Check out this article to learn more about the driving factors behind the growing complexity of the B2B buying process. According to a report from Pardot, 70% of buyers return to Google search a minimum of two or three times during the course of their research. Top of the funnel (TOFU). Early stage research is often related to solving a problem, like “how to optimize conversion rate”. Here, users might find your blog content and read an article that suggests A/B testing frameworks and tools. At this stage, buyers are most interested in tactical content they could use to solve their problems. Middle of the funnel (MOFU). Following the information search, buyers start comparing the alternatives the research uncovered. The time spent in this stage will vary significantly depending on the conversion value. High-ticket purchases with multiple stakeholders involved in the decision making process will spend a lot of time here. The buyer evaluates tools and clicks on the paid search ads for those products. Common searches include things like “Company X vs Company Y” or “Compay Z review”. Bottom of the funnel (BOFU). This is culmination of the previous steps. The buyer determined they had a problem, researched possible solutions, deciding on the best option, and are now ready to make the purchase. This is all about tipping the customer over the buying cliff. Case studies and customer success stories work well in this stage. Let’s have a closer look at four distinct full funnel marketing strategies, including examples and set up. It makes sense, especially at the discovery stage. A B2B buyer has a problem they need a solution for, but they don’t know exactly what the solution is yet. AdWords provides the vehicle to get your solution in front of these people immediately. This is even more important if you’re still working on growing your organic search footprint. Important: During the keyword research phase of the paid campaign setup, you’ll want to add negative keywords. These stop you from paying for irrelevant ad impressions, or exposure to an unqualified audience. For example, a super broad term like “conversion rate” could be related to money instead of marketing optimization, so you’d want to set “currency” as a negative keyword. Similarly, you want to filter out searchers that are just looking to learn by setting keywords like “learn” and “courses” as negative keywords. You could also use negative keywords like “cheap” and “deal” to eliminate bargain hunters, if you are not competing on price. The copy should sell the benefits of your offer. You can refer to this spreadsheet template for help constructing your ads, and this guide for advice on writing high-converting AdWords copy. This insight is incredibly valuable. If you see a competitor bidding on a high value keyword for a consecutive months, you can infer that the ad copy is driving a lot of traffic (and probably conversions). 3. Getting the click is half the battle, now you need to convert the traffic into leads or paying customers. The final step in this process is to actually sign up for the offer and go through the post-converion funnel to see what the offer looks like, as well as the nurturing process. Need some inspiration? Check out these examples from each stage of the funnel. This ad helps tie LinkedIn’s services to a common problem B2B marketing departments have: generating more leads. The copy tells the visitor LinkedIn is responsible for 80% of B2B leads, making it a clear choice. The ad is angled as if the visitor didn’t know LinkedIn was such a major potential lead source, and uses social proof to sell the benefits of the platform’s targeted reach. This is a top of the funnel ad because the search term isn’t linked to a specific solution, but a problem. At this point, the searcher doesn’t know which strategy or channel they’re going to use for lead generation, they just know one thing: they’re not getting enough leads, and they want a solution to the problem. Continuing with the LinkedIn example, here is another one of their ads, this time targeting searchers who already know the kind of solution they want. The social proof cements the dominance of LinkedIn’s ad network and brings searchers back into the funnel. Unlike the top of the funnel example, the searcher has already decided PPC ads are the channel for lead generation. Therefore, LinkedIn frames itself as the best PPC ad network rather than just another tool for lead generation. This ad also differs because it offers pricing and success stories; at this stage of the funnel, the searcher might be evaluating the projected cost of the solution and need proof from other businesses that it’s the right choice. It’s time to buy! The B2B buyer has researched and decided to use LinkedIn ads. This time, it’s not the LinkedIn platform that appears in the search ads, it’s an ad management suite. This is effective because it provides businesses with the tools they need to manage and automate ads — obviously a searcher that is looking to generate leads wouldn’t bite here, but with a education and moving down the funnel, it becomes a logical solution. Search isn’t the only effective channel for B2B marketing; social networks, especially LinkedIn and Facebook, can also be very effective. With this ad, Aspect targets key decision-makers in the IT industry to raise awareness of their product without going straight in for the hard sell. This sponsored post is a classic top of the funnel example, because it’s general enough to be interesting to a wide range of readers, but taps into a specific problem of the target audience. A killer strategy for LinkedIn, and one that Aspect used for this ad, is leveraging matched audiences to map a list of company domains to company pages. This way you can take a much more targeted account based marketing approach on the social network. You can upload a filtered export from your CRM to go after leads you’re currently marketing to and keep your company top-of-mind. To read more about matched audience setup, click here. In the case of the Aspect ad above, the company saw a 322% increase in engagement from the targeted companies, a 290% increase in referral traffic to their blog, and a 17% increase in page followers. Hooking your target companies on social media is powerful because you can continue to deliver targeted messages over time as they move into the middle of the funnel. The middle of the funnel is the perfect place for retargeting ads, especially ones that position the power of your product in the words of your customers. Remember, you’re nurturing leads here instead of pushing for conversions. For these purposes, an interactive carousel ad with testimonials works well for a B2B audience. The example from AdEspresso above generated 38,456 impressions, 181 clicks and 40 conversions with a budget of $98.18! To set up retargeting ads for mid funnel leads, you first need to add a Facebook pixel to your site. This places a cookie in the browser of any visitor landing on a page, and allows Facebook to target only those leads with your ads. Here is a list of facebook audiences B2B marketers should be testing. This ad from Veeam Software has a very specific offer for a very specific audience. You can tell by the low number of views on the video that it’s targeting a small niche rather than a broad segment. Instead of just selling the fear of losing IT data, which would be more general, it is selling a free 30-day trial of an Oracle database backup suite. This assumes the target audience is a database management decision-maker running Oracle infrastructure, and that they’re far enough down the funnel to buy. One solid strategy you can use to leverage your existing Facebook audience and widen reach is to use lookalike audiences to target leads with similar expressed interests in their facebook profile. To set this up, you can use your email list as the source and clone your customer base. Instead of generating a lookalike audience with your customer file, you can also market straight to your existing customers with upsells. It’s much less expensive to retain and upsell than it is to create a new customer, so by using your existing customers you can boost LTV without running over budget. One piece of content can stick to the top spot of Google for years, bringing in leads on autopilot with no further investment needed. This can have compound effects as your domain authority increases over time. When you consider that most B2B buyers refer to Google results several times throughout the buyer journey, it’s obvious how powerful it is to create (and rank) content that targets different audiences at different stages of the funnel. Need specific examples? Here we go. This example from the Trello blog shows the power of general-interest content. The benefit of increasing productivity is one that appeals to absolutely everybody, but it’s framed in an interesting way. And, not to mention the prominent CTAs in the header and sidebar. While the content is very broadly focused, Trello still effectively positions their product to bring in new users. Zapier’s integration platform lets users create a near infinite number of workflows by combining triggers and actions from different apps, and in this example they take a deep dive into one specific example to show the value of automation and give leads inspiration for how they can improve company workflows. This imediately positions Zapier as a fast solution to a real problem. This interactive assessment created by Iron Mountain is exactly the kind of content that drives sales. It shows the reader hard numbers on what they could save by choosing Iron Mountain, based on a series of questions about employee salaries and file storage capacity. This assessment would be the knockout punch — who could turn down the chance to save tens of thousands by adopting a new solution? Readers also see data on how their current system is causing operational issues, making the final sell all the more appealing. Email marketing has the highest ROI of any tactic listed so far, and can be used effectively to market to leads at any stage of the funnel. You can combine email with other tactics in this guide by using PPC and content upgrades to capture leads’ email addresses and drip out messaging that pushes them deeper into the funnel. Lets look at some email marketing examples at each stage of the funnel. The goal of top funnel (TOFU) email marketing is to educate. This builds awareness and trust, especially if you can keep open rates high by delivering engaging content that doesn’t seem too intent on hammering the lead with sales pitches. This email from Sumo ticks all the boxes. Rather than selling, it appeals to a broad audience with the time-tested benefit of generating leads. Inside, it promises to teach you how to add over 5,000 emails to your list. This marketing email from RapidMiner pitches a product-focused webinar with a specific business benefit. Webinars are a killer tactic for middle funnel (MOFU) leads because they deliver general educational value, but also point the lead straight to the product’s benefits, making the evaluation stage easier. With an average lead qualification rate of 20-40%, every single registrant counts towards a potential future customer. And, the engaging video format means viewers are likely to stick around for over 50 minutes. While it does use a high-converting tactic, this email is not too aggressive. It delivers specific value without going for the throat with special offers or discount codes. This BOFU marketing email has it all! The email comes at a time in the funnel where LiveAgent is sure you need no more convincing other than a simple discount offer, and considering that it’s targeted at free users at risk of churning, it’s as shamelessly direct as it needs to be. If the rest of your drip campaign has successfully nurtured the lead and moved them down the funnel, this kind of email would be the real money-maker in the sequence. Looking for more engaging content at each stage of the funnel? Content like quizzes, calculators and assessments are super-effective at engaging leads. 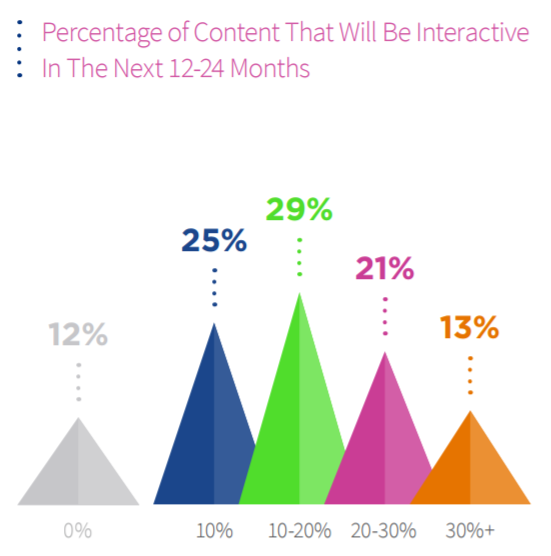 So much so that interactive content generates 4-5x more page views than static content. Why? Because it creates a two-way dialogue with your reader, instead of a one-way monologue. In a world drowning in content, this is very important as lead generation cannot occur without first engaging your audience. Let’s not forget the middle of the funnel, either. MOFU leads need to be educated about your product, and according to Inc, 93% of interactive content is somewhat or very effective at educating the buyer, compared to just 70% of static content. Interactive content might sound like a lot of work, but with the right platforms you can create quizzes, calculators, assessments, polls and configurators with an easy drag-and-drop interface. Need some inspiration? 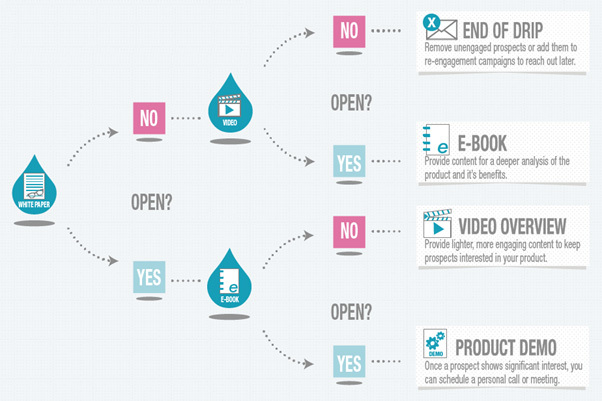 Check out these interactive content examples for each stage of the funnel. This lead generation content plays on a very familiar and universal theme — meetings. We all have them, we all want to make them worth the time. It’s a topic with polarized opinions, and the idea of being a meeting MVP is widely appealing. This helps increase brand awareness as new leads will associate the product with helping them escape a part of the working week that’s often viewed as pointless or under-optimized. Since it doesn’t collect a lead’s personal data, the whole point of this piece of content is to raise brand awareness and familiarize leads with GoToMeeting. By asking the user to think about how well they handle different aspects of IT service management, it agitates the specific problem areas and subconscously places the need to solve it top of mind. It also provides ServiceNow with qualifying information so they can either provide further mid funnel education, or move straight to closing the deal. This content type helps direct the customer journey, surface pain points, and allows ServiceNow to accurately place the lead at the appropriate stage of the funnel. As a result, ServiceNow is able to be much more targeted with the information in their lead nurturing campaign. How Much to Make an App is a great piece of interactive content from Crew that would-be app publishers can use to forecast the cost of getting an app developed by a freelancer. With hard data in front of you, it makes the possibility of bringing your app to life seem like a reality, and immediately offers you the means to get it done. If any lead was on the fence about which service to choose for app creation, this would be convincing because it offers numbers, not an abstract “contact us for a quote” form like you’d expect from most services. A full funnel strategy can be a nightmare if you don’t know what’s working and what isn’t. Look at it this way: if you’re pouring a ton of resources into generating demand, nurturing leads, and getting conversions, you need to know if there are any leaks in your funnel. A full funnel strategy needs full funnel attribution. We looked at the different kinds of attribution models in this post, but here I’m going to tell you the models which are suited to track the whole funnel. Measure your most effective TOFU content with first-touch attribution. One of the key takeaways of Rand Fishkin’s video on marketing funnels is that you should set up first touch attribution at a bare minimum. First touch gives you a clear picture of the top of the funnel by assigning the sale’s credit to the first interaction a lead had with your company. You know what’s bringing in visitors, so you can optimize for demand generation. Credit your high-converting touch points with last touch attribution. Last touch attribution assigns the full credit to whatever touch point actually drove the conversion. Whether that’s a discount code or a webinar, you can use last touch attribution to tighten up the bottom of the funnel and double down on what directly makes you money. Most importantly, compare your data against a model that gives you a full-funnel view. You don’t want to discredit the importance of nurturing material by relying only on the material that brings leads in, or gets them to hit the “buy” button. A linear attribution model divides the sale’s credit up evenly between every touch point, which provides an even view of your funnel. However, not all touchpoints are equal. Because of that, a linear model can be inaccurate. The only real way you can get accurate results — especially with complex full-funnel strategies — is to use a custom model. A custom (or algorithmic) model, is a DIY solution where you assign more credit to the conversion-focused touches and less to the touchpoints you know didn’t contribute as much value. For example, a Twitter “like” is nowhere near as important as a webinar registration or purchase — with an algorithmic model, you can set up your own attribution model and test it until it’s perfect. In this age of longer, more nuanced buyer journeys, it’s becoming increasingly important for marketers to cater to leads at different stages of the funnel. You wouldn’t use general-interest content on a lead that’s nearing conversion, and you wouldn’t spend money pushing product features and discount codes to unqualified leads. A full funnel strategy can use combine PPC, social ads, content, and email marketing to deliver engaging, educational and persuasive marketing experiences to hyper-targeted audiences. Sure, it takes more work, but if you want to get a competitive advantage and build an efficient marketing machine, a full funnel approach is absolutely necessary.